At one time, asbestos was the go-to building material for contractors because of its versatility, its fireproof properties, and its low cost. However, we soon learned the dangers of asbestos and asbestos mitigation is now a common event in buildings built before the 1990s. It is especially during renovation or remodelling projects in these properties that the hazards of asbestos emerge because when it is disturbed, its toxic fibres can discharge into the atmosphere, finding their way into our lungs. Asbestos has typically been manufactured in two forms for building purposes. The friable form comes in a soft, crumbly state. The other form, non-friable, comes in a hard, rigid material. Because of the critical hazards presented by asbestos, it must be removed by a licensed professional. Class A licenses are required for the removal of friable asbestos while Class B licenses are required for non-friable asbestos. Hazaway Asbestos Removal is a professional company licensed to provide Class B asbestos removal in Malvern. However, we don’t merely remove asbestos. We offer Malvern comprehensive asbestos removal solutions. Asbestos Removal – We locate and remove asbestos in Malvern in a safe and efficient manner. Asbestos Disposal – Because of its hazardous nature, asbestos must be disposed of within certain specifications as determined by the EPA. Hazaway Asbestos Removal is licensed to provide Malvern asbestos disposal under those parameters. Asbestos Encapsulation – If full removal of asbestos material isn’t possible due to various reasons, we can seal it off to eliminate exposure. Asbestos Testing – Even the most grey-bearded asbestos removal professional may have difficulty determining the existence of asbestos within a given material. Hazaway Asbestos Removal can arrange for questionable material to be analysed for the presence of asbestos. Asbestos Clearance Certificates – These certificates can be issued confirming the safe and complete removal of asbestos in Malvern from the building. Why choose Hazaway Asbestos Removal to take care of your asbestos removal in Malvern? Hazaway Asbestos Removal specialises in the removal of Class B asbestos. We are fully-insured and licensed by Worksafe Victoria and the EPA to provide asbestos removal in Malvern. Our expert technicians are well-versed on the safe removal standards and protocols surrounding asbestos removal. 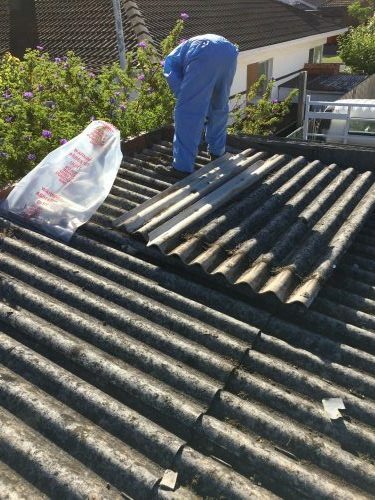 We offer Malvern asbestos removal services efficiently, at a reasonable price. We strive to complete our Malvern asbestos removal projects swiftly, without sacrificing safety. We want you to be able to return to your life, without the presence of asbestos hanging over your head. Your health and comfort is our top priority. Please contact Hazaway Asbestos Removal to handle your asbestos removal in Malvern! Would you like more information, or are you interested in a free quote for our asbestos removal services in Malvern? Please call us today at 0432 622 292. We’re here to answer any questions you may have, and alleviate any concerns regarding the asbestos removal needs you might have on your property! Great service. Razz was really easy to deal with. The guys were on time and got the job done quickly without any hassles. Highly recommend. I highly recommend Hazaway for asbestos removal. Razz and his team were a pleasure to deal with. They were professional, efficient and got the job done fast! Raz was very professional with the job and i highly recommend him! Would definitely use again. Hazaway Asbestos Removal are an experienced team ready to assist you.